This NuLOOM 4 ft. x 6 ft. Area Rug will be a great welcoming addition to your home. This rug has a transitional style, which complements any decor. It has long-lasting materials, staying in great shape over time. It has a striped pattern, creating the illusion of a longer room. Designed with gray features, this rectangular rug adds to the soft and chic ambiance of your space. It has a 100% polyester design, which will resist fading over the years. Color: Grey. This machine-made area rug features a tribal design. It is a wonderful and rich centerpiece for any room setting. This plush and soft shag rug is inviting and cozy. 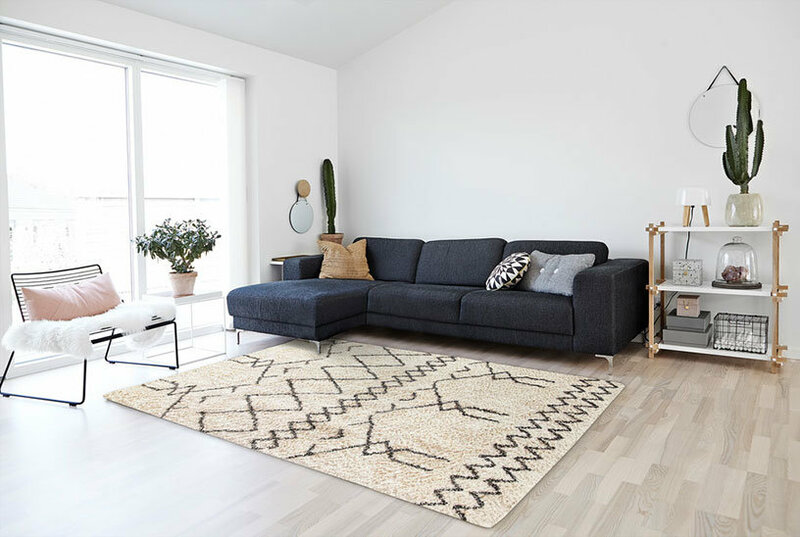 This machine-made, 100 percent polyester shag rug has a playful geometric design and is a delightful addition to any room. "nuLoom Renata Moroccan Shag Rug, 7'10"x10', Gray"